Enjoy your visit and please let us know if we can assist you. 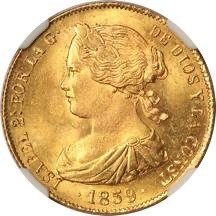 Aurora Rarities LLC offers rare coins and numismatic consulting services. We seek out and make available high quality coins for discerning collectors. While we specialize in world coins and medals depicting real and mythological women, we handle high quality coins of all kinds. Aurora Rarities is passionate about coins, but what we value most highly are people. We enjoy the study of coins and sharing that enjoyment with fellow collectors. Our goal is to make every interaction with our clients and colleagues a quality experience. We provide quality photos and descriptions for all items, respond to questions in a helpful and professional manner, and guarantee the authenticity of everything we sell. Aurora Rarities endeavors to positively contribute to the numismatic community and we invite you to share the journey with us.